Are you the kind of klutz who is bound to drop his phone at least once within the first few weeks – not to mention the other times after that? Do you miss the sturdiness of the old Nokia and Motorola “brick” phones that used to be the cool mobile devices? I do know I miss the sturdiness of those phones, but I cannot say that I miss the rest of the user experience. One thing is for sure – I have learned long ago to be very careful with the phones they roll out these days. It’s not like I can afford to replace a phone every few months! If your lifestyle or job involves a lot of physical activity and high risk of losing grip of that mobile phone, though, you might want to consider the world’s toughest phone. I know we hear all about tough phones every day, but the Sonim XP3300 Force is officially the best one in its category. Ask the guys over at the Guinness World Records – they have tested the Sonim XP3300 Force themselves and deem it worthy to be called the toughest phone in the planet. Yeah, it is not much to look at, but I think that if you work in an oil rig (or some other tough environment), looks are the least of your worries. Instead, how about having the knowledge that if you drop your phone from the top of a 12-storey building (or higher), you can still use it? Or maybe you accidentally drop your phone and it gets immersed in water for 5 minutes. How much would you pay for the assurance that your phone can withstand being immersed in water for up to 1 hour and still work? 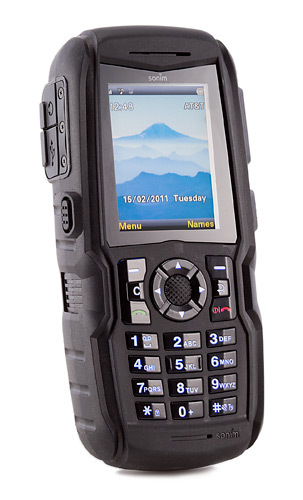 That’s how tough the Sonim XP3300 Force is. This phone has been around for a while now, and many have praised its toughness and performance after receiving crazy treatment. 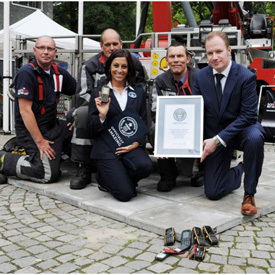 However, it was not till recently that it got that “certification” from the ultimate benchmark in world records. Granted, not everyone will have an every day use for this kind of phone. For those who do need the toughness, though, it’s good to know that you have the option. An option that costs about $485.